Join us in an evening of readings and who knows what or who, may appear to perform! Gabe is preparing some foods especially for us! plus lattes, etc. coffee, teas & cold drinks. Come out to read or just listen! A NEW TRADITION-WE’RE STARTING AT 7 PM! Sterling will present selected music for added ambiance. 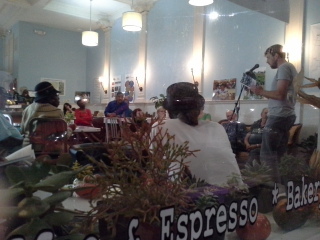 FIRST FRIDAY OPEN MIC NIGHT! JOIN US! Join us in an evening of readings and who knows what or who, may appear to perform? Gabe will be offering foods, coffee, tea & cold drinks. BRING A FRIEND. Keep our literary tradition alive! Come out to read or just listen! 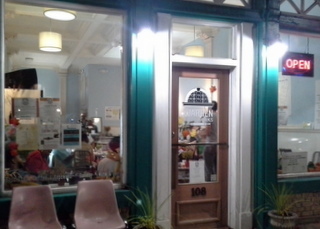 It’s here on Friday-our First Friday Poetry, open mic night, 4th Dec. 7:30 to 9:30. Come in; you can hear Reasons for the Season. 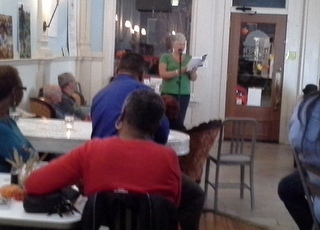 Come in to hear original works read by the poets who wrote them. Come in to read your own words or the words of someone you enjoy. Come in, nibble on local foods and delectable desserts. Come in, taste the wines and beers of North Carolina. Come in and share a table with old friends or meet new ones. Big hugs and bigger thanks to all who came to the WAM 2nd annual anthology Book Release Reception on Friday the 6th. You made it a huge success and made us WAM folks walk on air in delight. Area writers in the anthology and featured readers were Cat Graham, LaVerne Gardner, D. Bernard Alston, Joyce Lindenmuth, Deanie Carter, Maggie Chalifoux, Jenny G. Gray, Swen Gerards, Sandra Butler Tubbs, Jack Peachum, Michael Layne, and of course, Thomas Park, and me. Sherman Johnson read his special poem about an 11 year old girl that touched us all. Chris Hunter sang a perfect ending for a perfect night. The Warren FoodWorks presented a delectable array of hors’d oeuvres. Sterling Cheston carried us into and maintained our party atmosphere with his perfect music selections. Our sponsors, Dr. & Mrs. Cosmos George and John Earl Alston, are held in sincere honor for helping us bring our community together and in keeping the arts alive in Warren County. Also thanks to Jennifer Harris of the Warren Record for printing the article that called many listeners to join in. 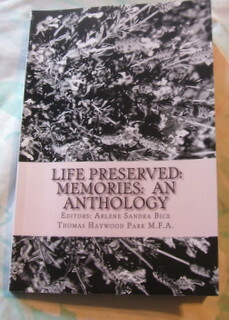 The Warren Artists’ Market (WAM) founder, Thomas Park has announced the completion of Preserved Life: Memories, a 2nd annual anthology. The book features 52 writers, at least 13 from Warren County, including poems from the late, respected, hometown writer Edwina Rooker. Submissions came from as far away as India. The Book Release reception is scheduled to blend with WAM’s traditional First Friday Poetry Night on November 6, held at Warren FoodWorks, 108 S. Main Street, Warrenton, from 7 until 9 p. m. Local writers have been invited to read from their work. The event is open mic. Others who are not in the anthology are welcome to read also. The 253 page book will be available for $15 each. Refreshments will be served. There is no admission fee. The Artists’ Collective hosts First Friday Poetry Nights, book readings/signings for local authors, mural workshops, writing groups, drumming, and after-school tutoring.